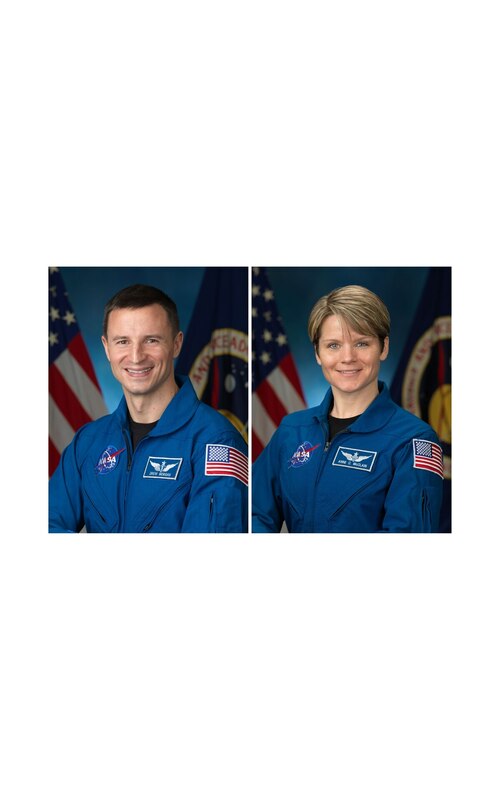 Two Army officers — a Ranger-tabbed doctor who served with Special Forces and a helicopter pilot with more than 800 combat flying hours — officially joined NASA's astronaut corps this month, part of an eight-member space class that recently completed nearly two years of training. Lt. Col. (Dr.) Andrew Morgan and Maj. Anne McClain both began their Army careers at the U.S. Military Academy, earning engineering degrees in 1998 and 2002, respectively. Morgan moved on to medical school at the Uniformed Services University of the Health Sciences, later becoming the battalion surgeon for the "Desert Eagles" of 1st Battalion, 3rd Special Forces Group (Airborne). His special operations assignments included deployments in support of missions in Iraq, Afghanistan and Africa, according to his NASA biography. He completed Ranger school and multiple parachutist courses (he jumped with the West Point parachute team and was a part-time physician with the Army's Golden Knights, per his NASA bio), and has earned a Bronze Star Medal along with multiple other awards and decorations. McClain also found success in another uniform, earning a spot on USA Rugby's Women's Eagles national team in 2003 and remaining active as a player and coach in elite-level programs. Her Twitter page lists her as "temporarily retired" from the sport. She graduated Navy Test Pilot School in June 2013, two months before she joined Morgan and the rest of the eight-member astronaut class for training at Houston's Johnson Space Center. "These individuals have worked incredibly hard to attain this milestone," Cassidy said in a news release announcing the selections. "For many, it is the culmination of a lifetime of dedication and perseverance to reach this goal. We are proud to have them join the NASA astronaut corps." Morgan and McClain join a long list of West Point astronauts that includes retired Air Force officers Buzz Aldrin and Michael Collins, members of the three-person Apollo 11 crew along with the first man to set foot on the moon — former naval officer Neil Armstrong.